The Silver Star Carousel was originally constructed in 1928 in New York City. From 1928 to 1937 and then 1945 to 1962, the carousel operated at Rockaway's Playland Amusement Park. In 1962, Six Flags Over Texas purchased the carousel for $25,000. In 1963, the ride opened in Boomtown and was named the Antique Carousel. Because of the ride's historical significance, the Texas Historical Commission named the ride an official historical site in 1966. After three years of renovation, the carousel was moved to the Front Gate area and opened in 1988 as the Silver Star Carousel. The carousel is originally constructed in New York City. 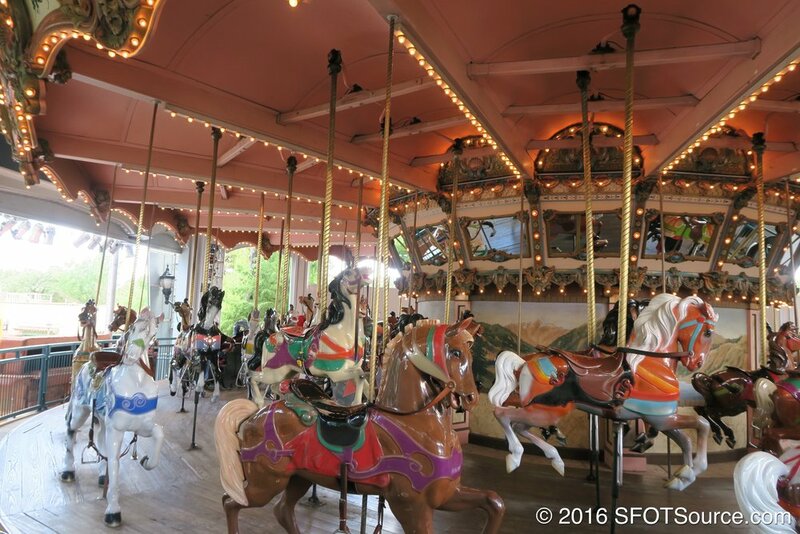 The carousel is installed in the Boomtown section at Six Flags Over Texas and named the Antique Carousel. The Antique Carousel is restored, moved to the Silver Star Mall, and is renamed Silver Star Carousel. Silver Star Carousel is restored.